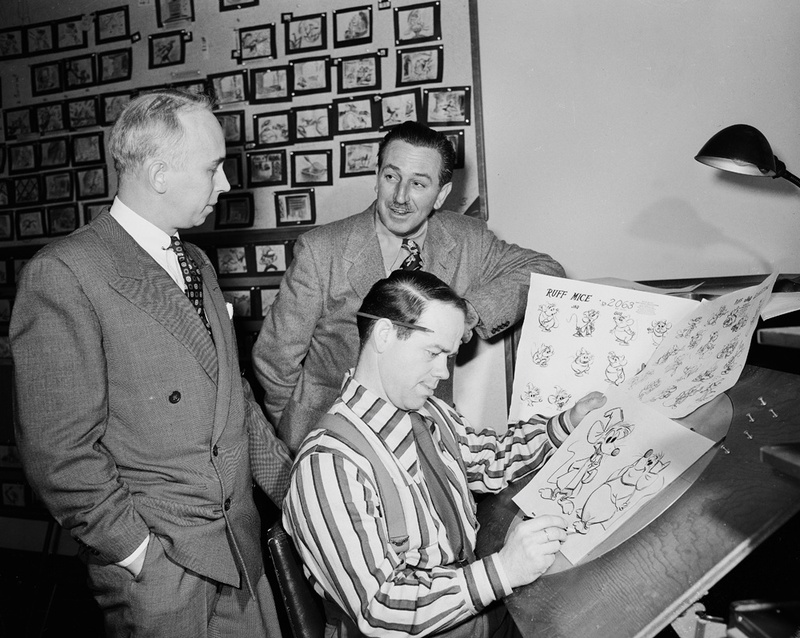 This photo was probably taken in 1949 when Cinderella was in production. I don't know who the visitor is, but he is a lucky guy to be taken to Ward Kimball's office for a visit by Walt Disney himself. 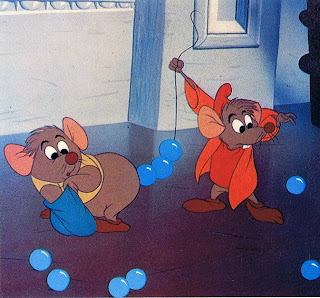 The movie was perfectly cast in terms of animation. 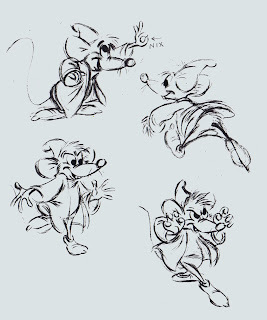 Marc Davis and Eric Larson drew the title character, Frank Thomas animated the stepmother, Ollie Johnston did the comic stepsisters and Milt Kahl was responsible for the King, the Duke as well as the Fairy Godmother. 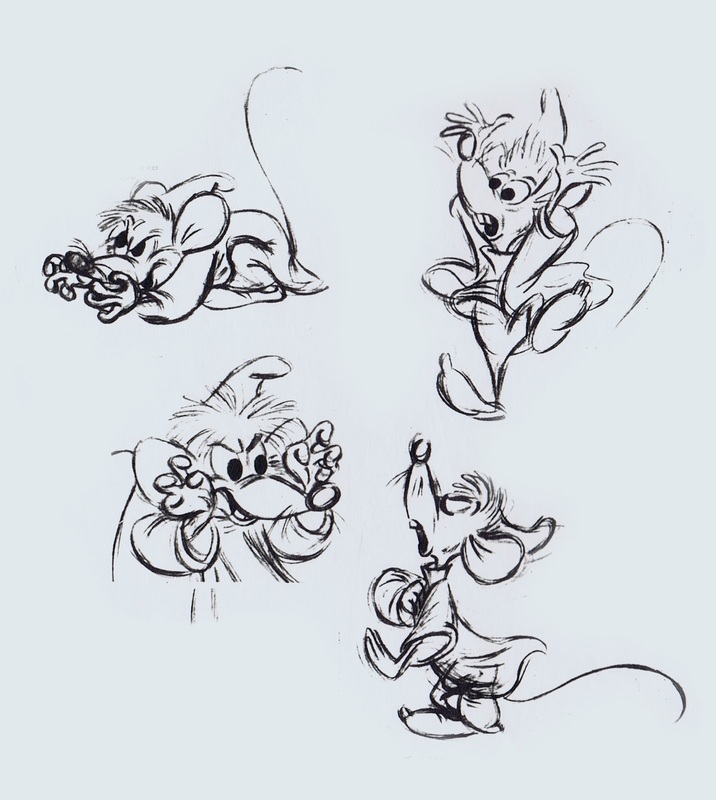 There was no better animator to take on Lucifer, the cat, and the mice characters than Ward Kimball. 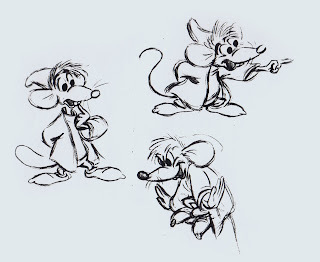 By the late 1940ies there had been numerous designs and concepts for animated mice, so how on earth would you go about creating fresh looking personalities for these rodents ? 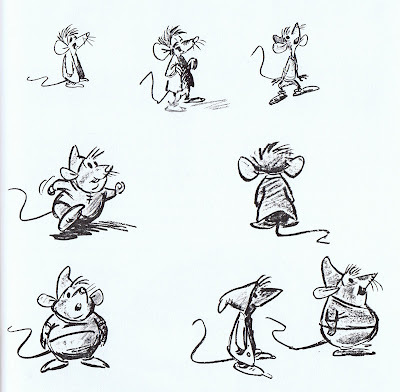 Story artist Bill Peet came up with early designs, already full of character. 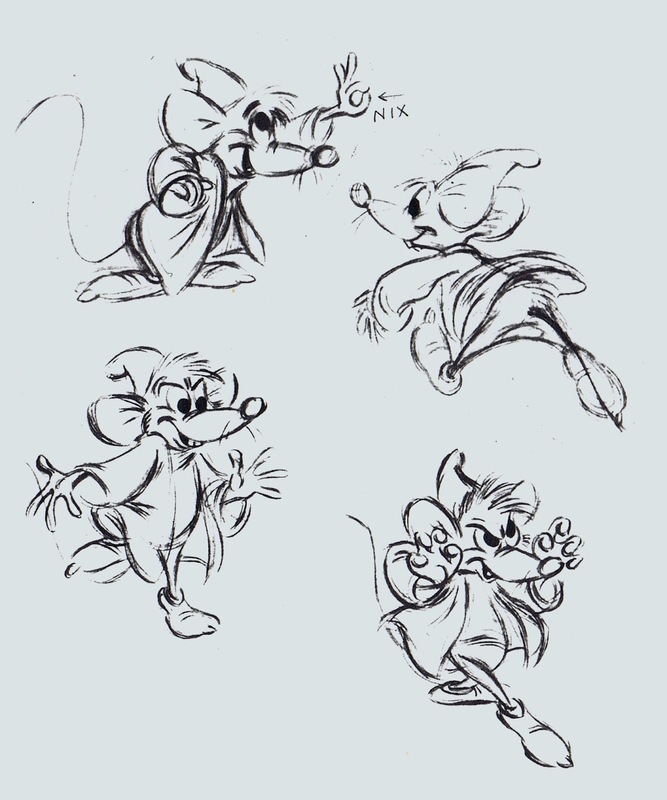 Ward polished these concepts for full animation and animated them with his sense of zany timing and inventive acting. 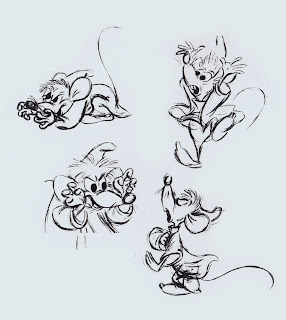 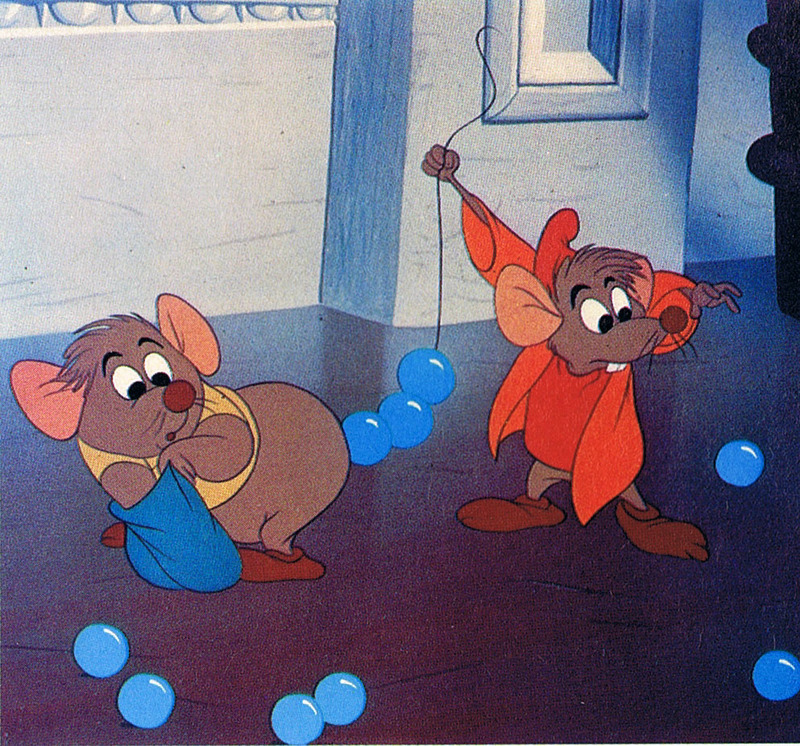 Everyone of these poses for Jaq show the energy and characteristics of a real mouse. 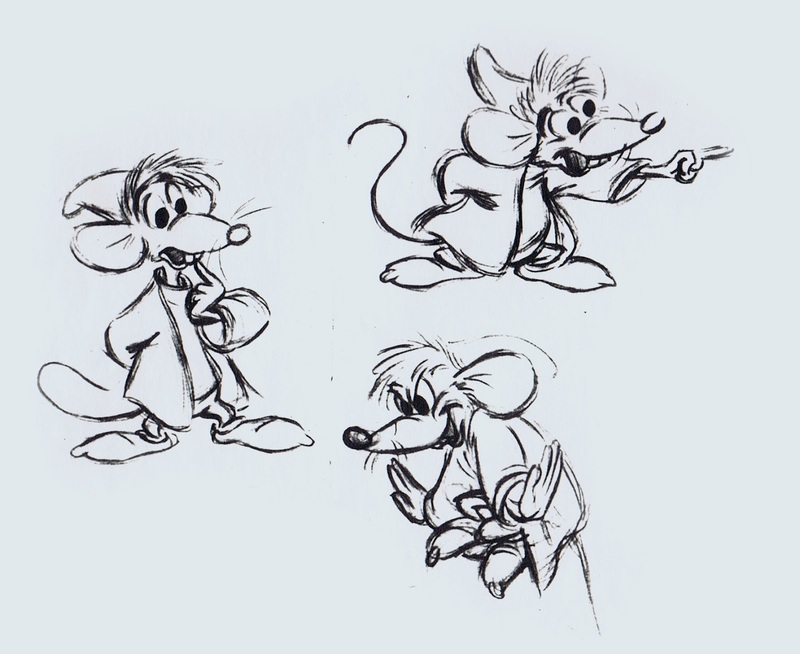 Outstanding character animation !! 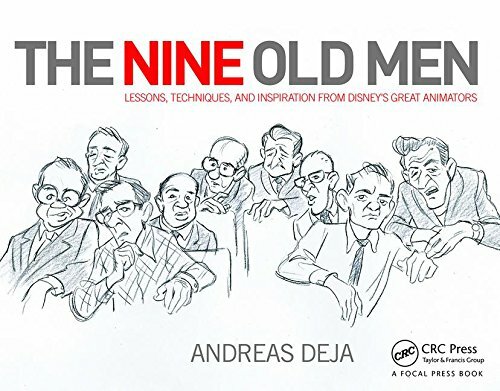 If you aren't looking forward to Amid Amidi's upcoming book on Ward Kimball, I can't help you.